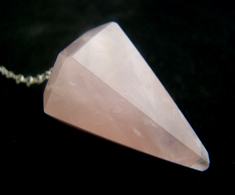 ROSE QUARTZ - Enhances all forms of love: self-love, mother love, caring, kindness, platonic and romantic love. Radiates unconditional love and helps us attract love into our lives. Teaches forgiveness and tolerance, promotes release of toxins, dissolves stress and tension. Helps expressing and soothing emotions, stimulates the imagination and the intellect, lifts depression, creates confidence and peace. Can be used to treat of migraines and headaches of all types.